Reykjavik, the world’s northernmost capital, has recently become a super trendy hotspot, and all thanks to budget airlines making the city their hub; so travelers can now fly there cheaply or have a quick layover. Although a small city, there are plenty of things to do in Reykjavik in the summer! There's something for every mood - restaurants, cafes, bars, lounges, boutiques and more. We arrived during pride week; the city was completely enthralled in a multitude of colors! Streets were painted, stores were decorated with pride colors, displays were redesigned to reflect the celebration... everything seemed extra colorful and fun in the city. Concerts and parties indoors and outdoors with people from all over Europe joining the festivities. Sitting at the top of a hill, Perlan offers a panoramic view of the city from their observation deck. Although the landmark building was originally hot water tanks, a dome was added later to form what it is today the Perlan. In there you will find shops, a museum, and two restaurants which overlook the city. The entrance to the building is free, but there's an admission fee for the museum. 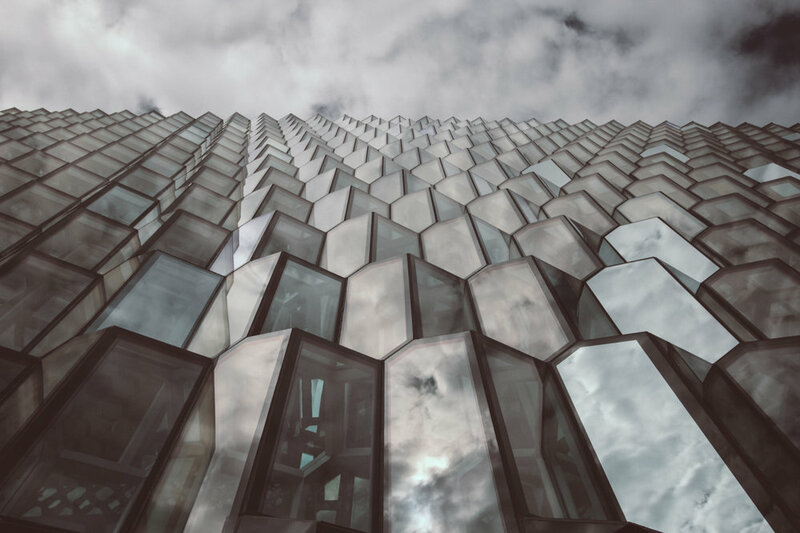 Harpa is a beautiful glass structure that serves as a concert hall. The inside is as impressive as the outside; I highly recommend taking a peek - added value: it's free. For a culturally rich experience, watch a concert! You can find out their schedule here. 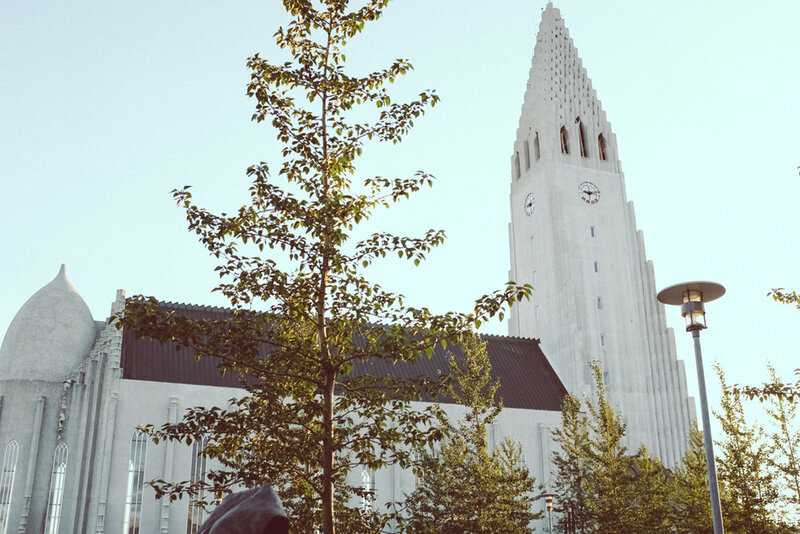 Nested in the heart of Reykjavik, the church is one of the city's most recognizable landmark. If you walk around Reykjavik, it will be hard to miss. The impressive church also doubles as an observation tower! You can take the elevator - yes, you don't have to take hundreds of steps to reach the top - and watch the city and its surrounding mountains. Laugavegur is where you will find all the fun things in the city - colorful stores and cool bars amid the streets of Laugavegur. Within just a few blocks, you can shop for an entire outfit, redecorate your home, get a few books, and have a coffee! I call that convenience at its finest. The Sun Voyager - a stainless-steel sculpture of a boat by Jón Gunnar Árnason, represents "the promise of undiscovered territory" an ode to all travelers. And as such, one must visit it when in town. The sculpture is located a few minutes away from the Harpa concert hall. To my surprise, food in Iceland is mouthwatering! The seafood is exceptionally fresh; Their yogurt, Skyer is delicious, and the variety of modern and traditional cuisine is refreshing. So what better way to enjoy Reykjavik than eating your way around? 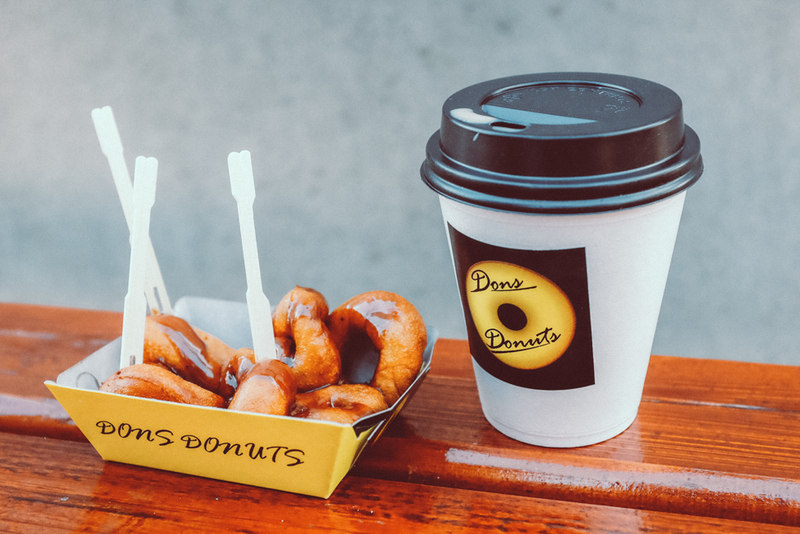 Bonus: Donuts - Iceland seems to love Donuts! What's better than mother nature's spa? Enters the Blue Lagoon. Take a dip in the geothermal spa and spread the mud - which has minerals like silica and sulfur and all the good stuff - all over your skin for a pampering time amid the scenic mountain view. Before you head out there, make sure to book your ticket in advance here. 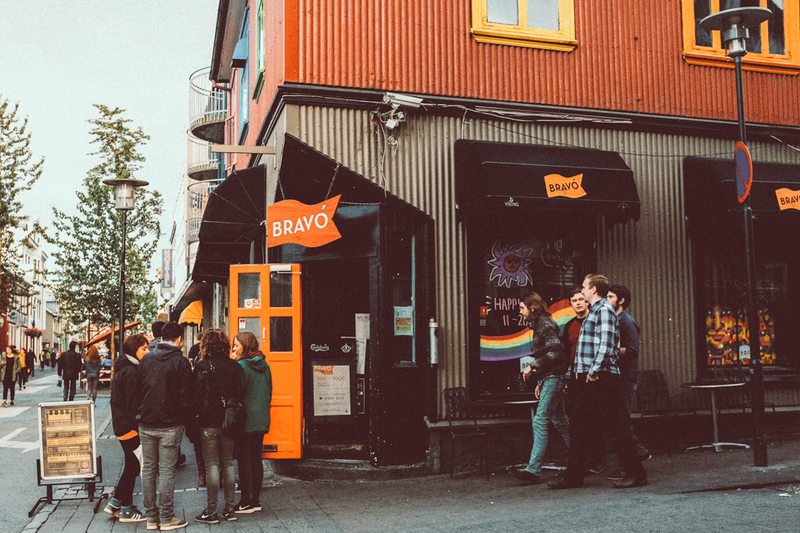 It's true that nothing is free in life but in Reykjavik, you can take a free walking tour! Ok, technically not free but you can pay as little or as much as you want - they run on contributions. On the two-hour tour, you will learn a little about the history of Iceland and the evolution of Reykjavik in a fun way! You can book the tour here. Don't have time to explore the Ring Road? Then, the Golden Circle is for you. Along the route, you will find the beautiful Þingvellir National Park, the impressive Gullfoss Waterfall, and the incredible Haukadalur Geysir. It is the best way to sample Iceland's beautiful nature. If you are planning to on a road-trip around Iceland, check out my 12-day road trip itinerary. If you want to skip the crowd check this alternative itinerary of the Golden Circle to avoid the crowd. 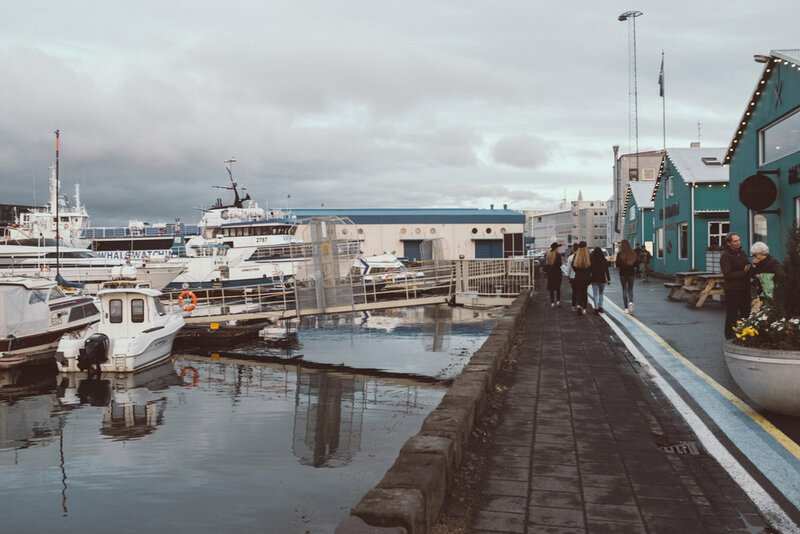 Walk the picturesque Old Harbour of Reykjavik and discover the many seafood restaurants, their most famous Ice Cream parlor, and the best black coffee in town! The hotspot also serves as a colorful photo op - of course, when the weather permits. The Old Harbour is also where you will find all the marine activities such as whale watching and puffin tours. As hot dogs are tied into classic American culture, so are they to Iceland. The hot dog is their unofficial national food. Fan or not, be sure to try Bæjarins Beztu's world-famous hotdog! – Simply delicious! Ah, the midnight sun! One of the most amazing natural phenomenon if you are a sunset lover. In the summer, the sun doesn't start to set until midnight, but it doesn't entirely set either. Sunlight will still peek through during the night giving you hours and hours of "sunset." Take a stroll along the Sculpture & Shore Walk to enjoy the beautiful sight. It may be summer in Reykjavik but, temperatures can range from 55° F to 44° F which is equivalent to fall or winter in some other parts of Europe. And with Iceland’s unpredictable weather, it’s safe to say, packing for Iceland can be tricky. But fear not, I have a blog post on how to pack for Europe in the Winter that’s pretty much applicable to summer in Iceland. Go check it out as it was exactly what I packed in addition to a rain coat. Is Reykjavik on your bucket list? Pin it!